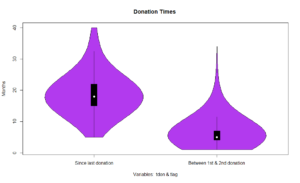 Machine Learning: Charity Donor Analysis Introduction A charitable organization wishes to develop a machine learning model to improve the cost effectiveness of their direct marketing campaigns to previous donors. The recent mailing records reflect an overall 10% response rate with an average donation of $14.50. The cost to produce and send each mail is $2. Copyright © 2017 Analytics.Business except where otherwise noted.